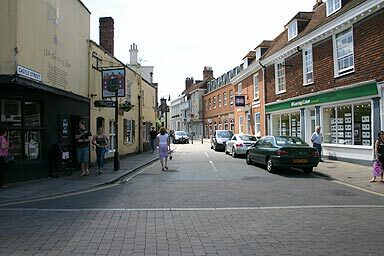 Castle Street leads down to the Norman Castle. No surprise there. The junction here shows that the line of St. Margaret's Street moved south-east at some point in the dim and distant past. There are concrete bollards in the road to stop this route being used as a way past the traffic jams on the ring road. At this end of Castle Street you will find lots of offices of accountants, estate agents and solicitors and the like.